Born Alberto Martinez On March 23,1982 In Jersey City, NJ, Raised By His Grandmother, Who Always Helped Him Stay Positive, By Showing Him How To Be A Man And Teaching Him The Difference Between Right And Wrong. 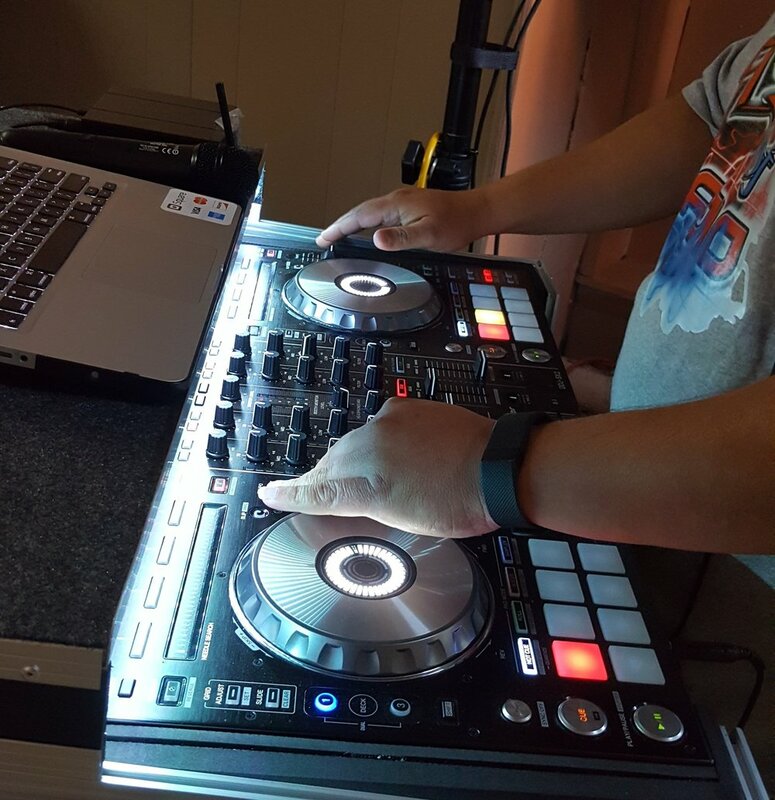 Since The Release Of The Movie “Krush Groove” In ’85, Dj Gojabean Has Always Had An Ear For Music. Since Purchasing His First Piece Of Vinyl Entitled “King Of Rock” By Run Dmc. Dj Gojabean Taught Himself How To Dj By Taking Old Records And Scratching Them On His Mom’s Record Player. 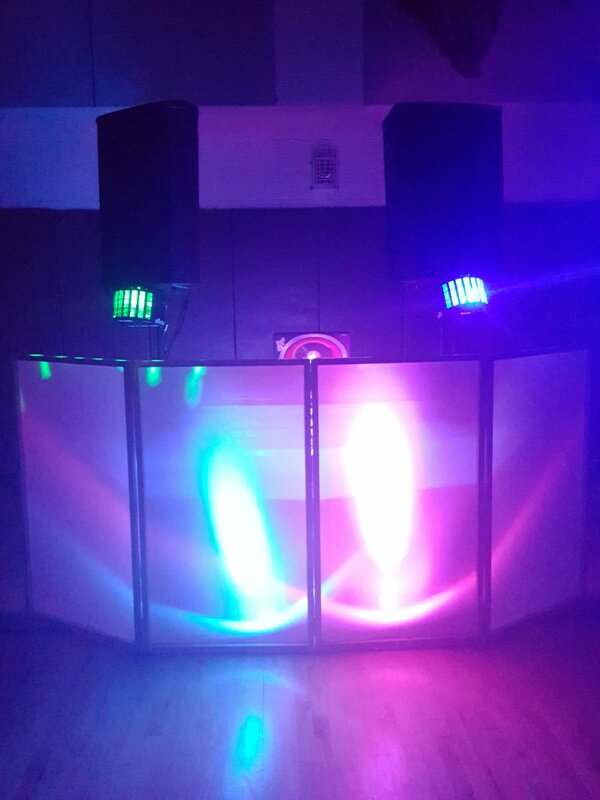 By Making Mixes On Tapes For Himself And Close Friends Who Have Always Shown Him Support, He Became Confident And Proud Of Himself As A Young Man And Dj In Training. 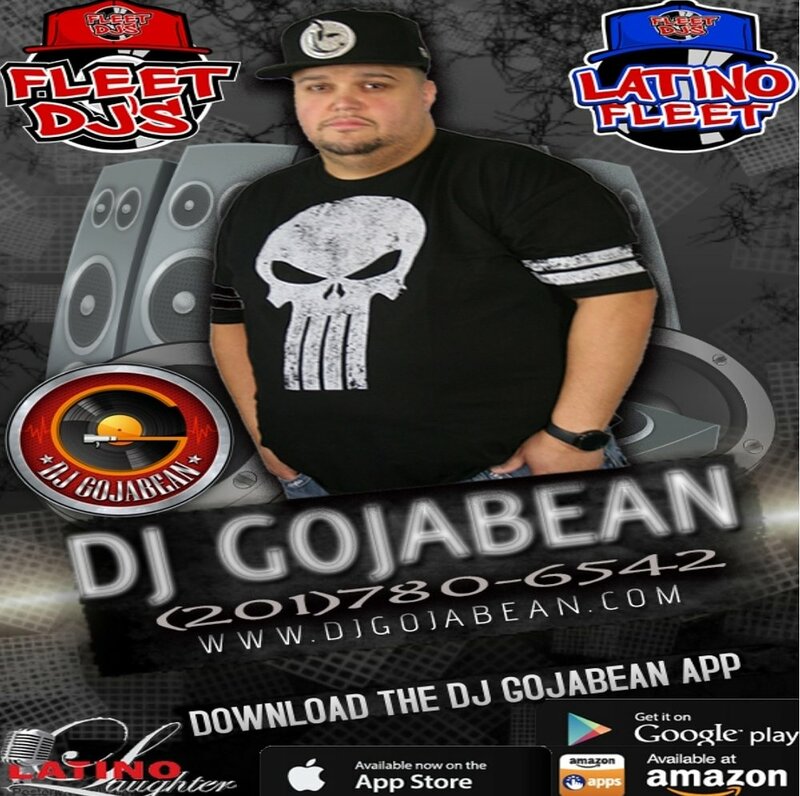 Dj Gojabean Finally Got His First Chance To Show The People And Friends Of His Neighborhood That He Had Talent. During The Van Horne Community Block Party In Jersey City, Nj He Did Just That the Crowd Responded By Cheering Him On. 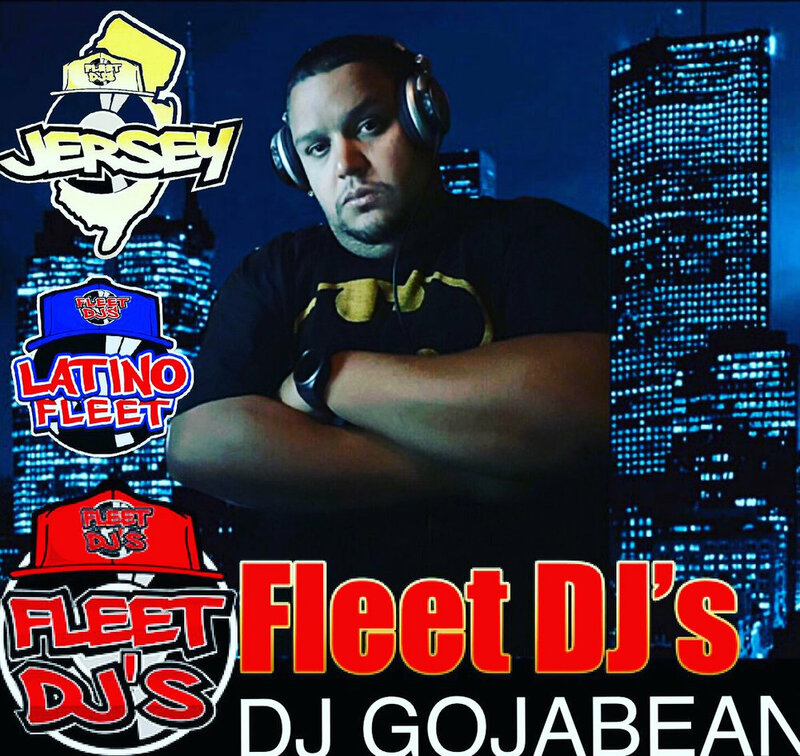 Dj Gojabean Makes His Mark Today By Dj’ing At Several Clubs And Bars Such As: Latin Lounge,Liquid Lounge,Laguna Lounge,La Esquina, Indios Pub, Berts Bar, Dramas, Ole’s, Sandbar, Lucy’s Cafe, Mahogany’s, The Lemon Tree Lounge,Torres Tavern, Cuatro Bar And Many Many More …. 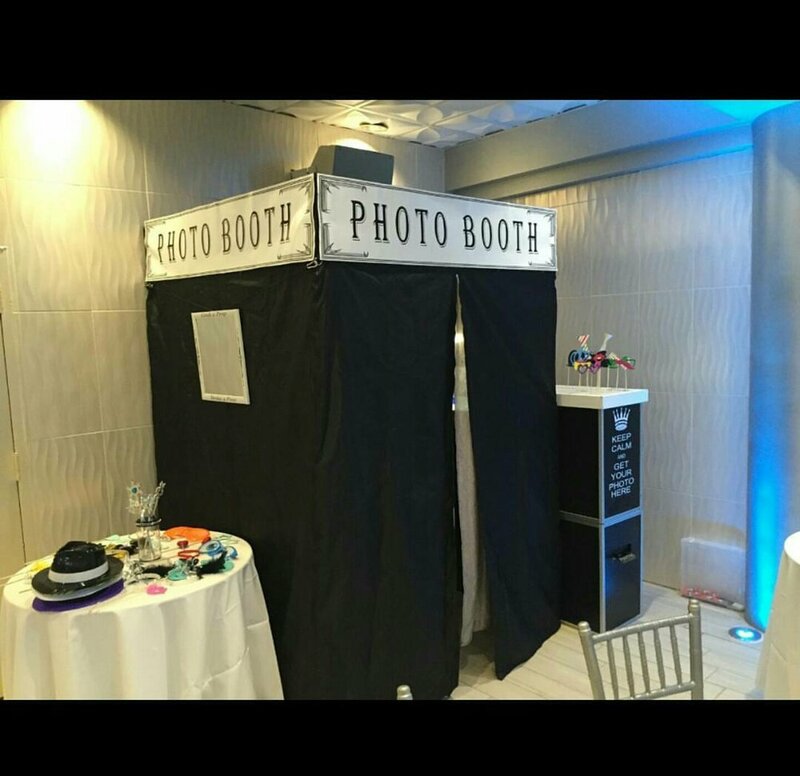 Whether your event calls for a Open Air or Enclosed PhotoBooth we have you covered. 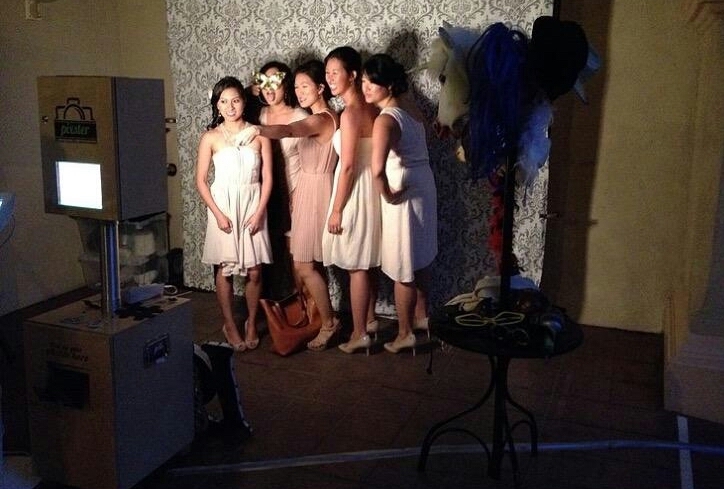 Our photobooth experiences will always be the life of the party. 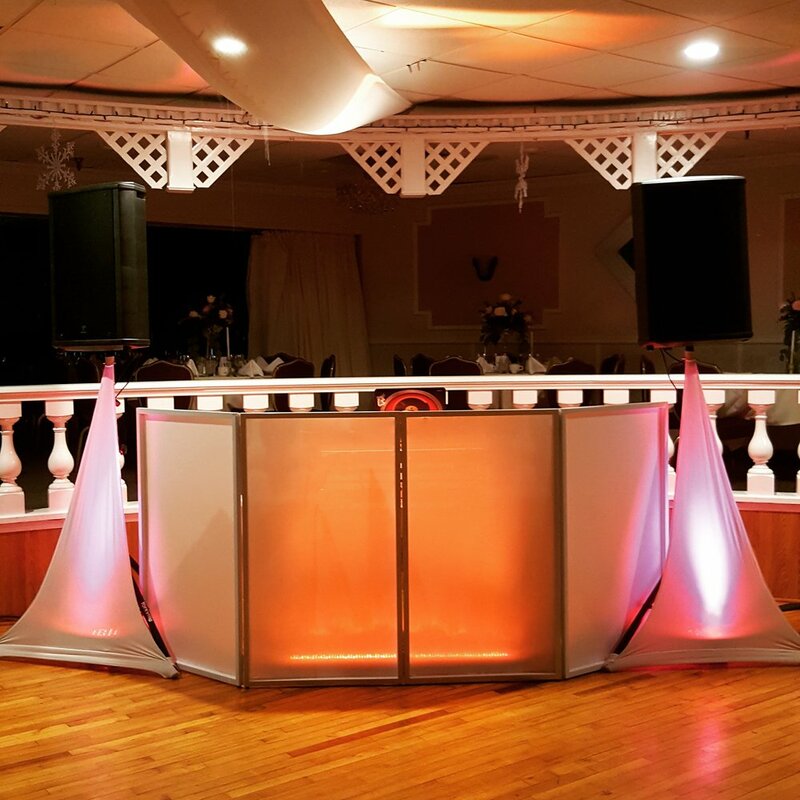 We strategically place the booths in your event space with a operator. 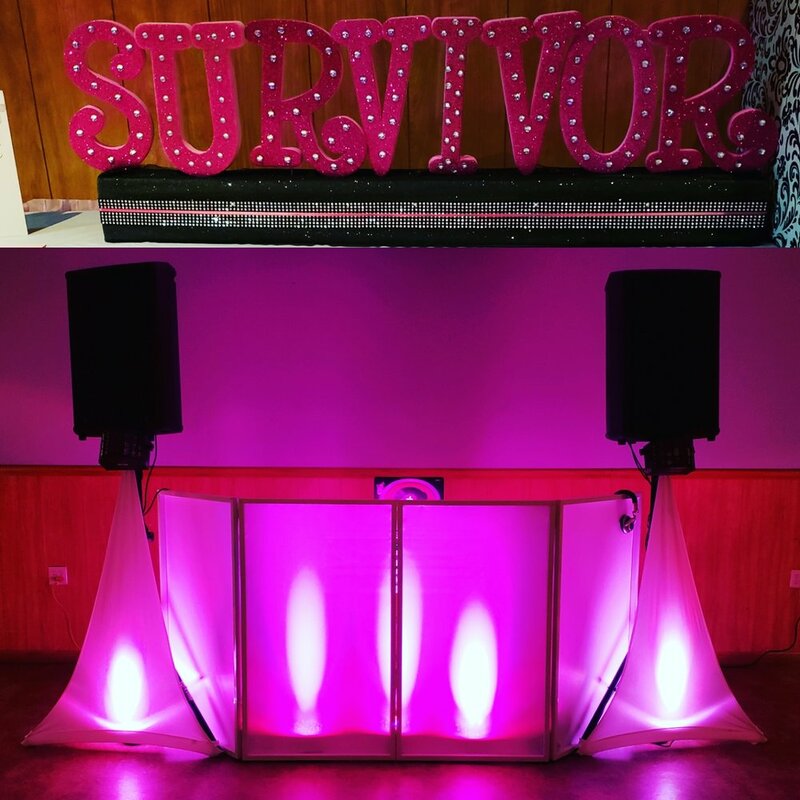 Booths are capable of taking pictures and video messages. Each comes with a custom personal filmstrip template with name and date. USB drives will be given at end of the night as your personal keepsake. 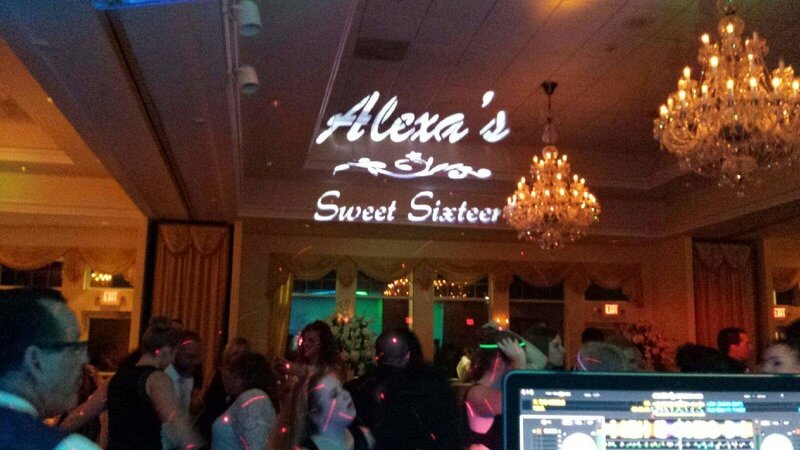 We offer an array of Custom designed gobo creations. 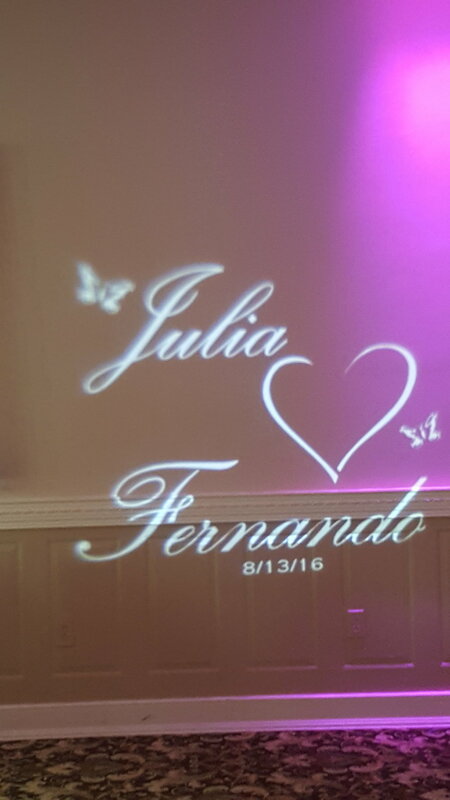 Each gobo includes your name, date or design. Projection will be on floors, walls or tent ceilings. 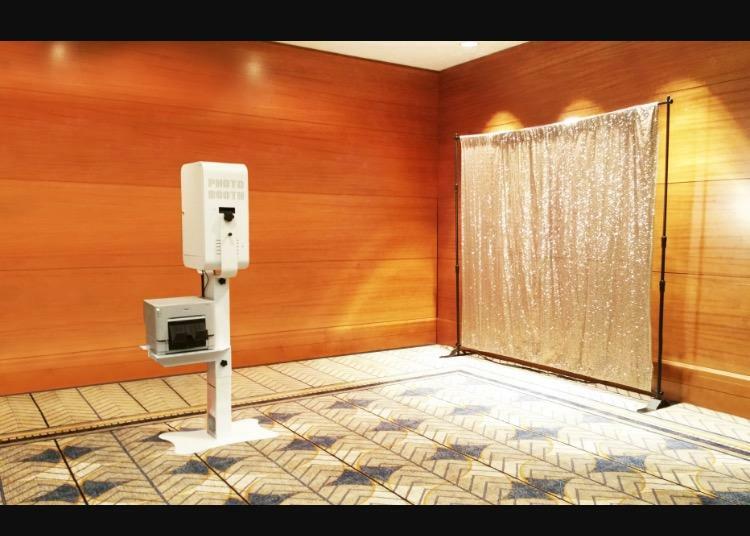 Multiple gobos available at additional cost. 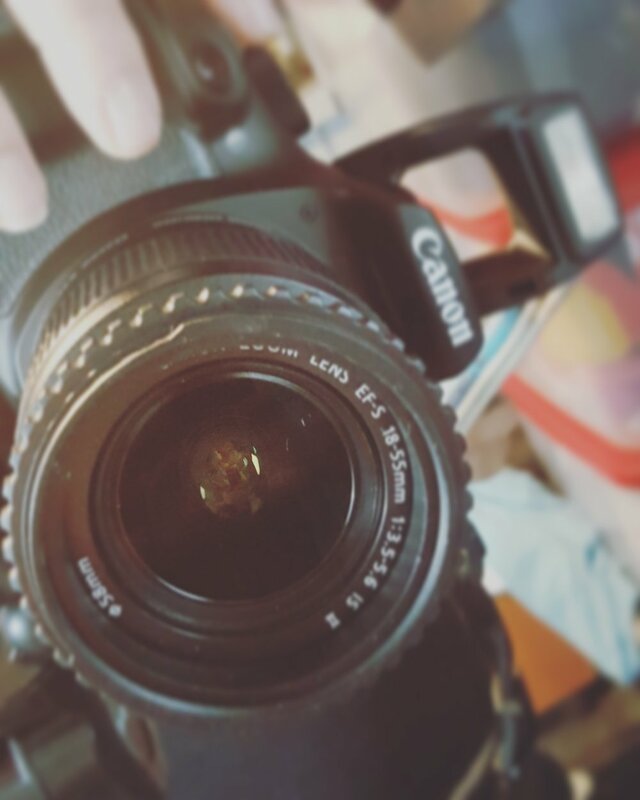 Professional photography taken with digital SLR Cameras. 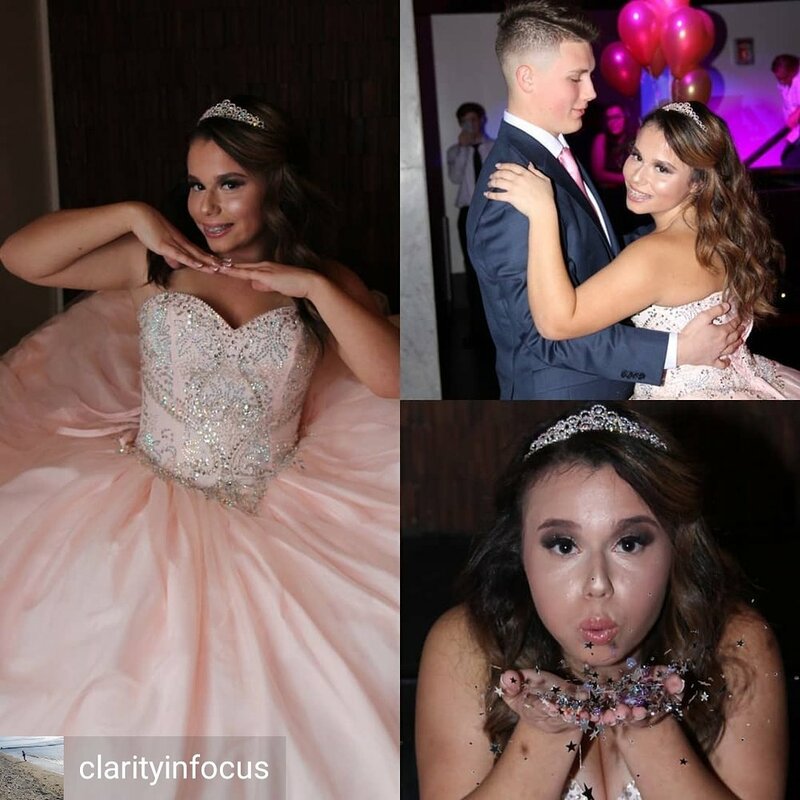 Our Photographers will capture all your memories through the duration of your event. Pictures on will be placed on a DVD for you to compose as you wish. Album option available at additional cost. 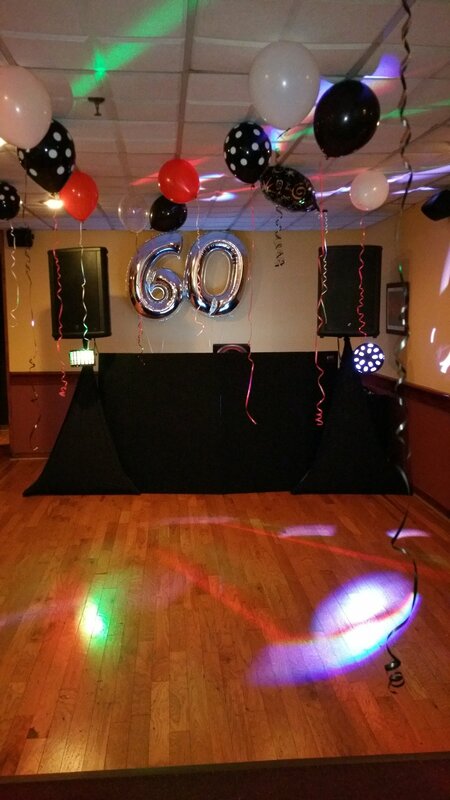 HD Video Footage of up to 8 hours. Final product includes, edited DVD with transitions and audio correction (for immediate viewing) and all raw footage on a hard drive. 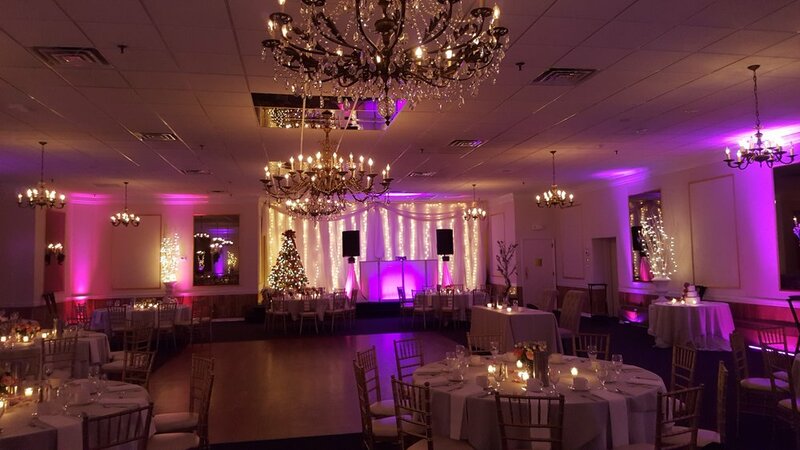 LED decorative lighting units placed around the room along the walls. Set to the color of your choice and/or programmable. 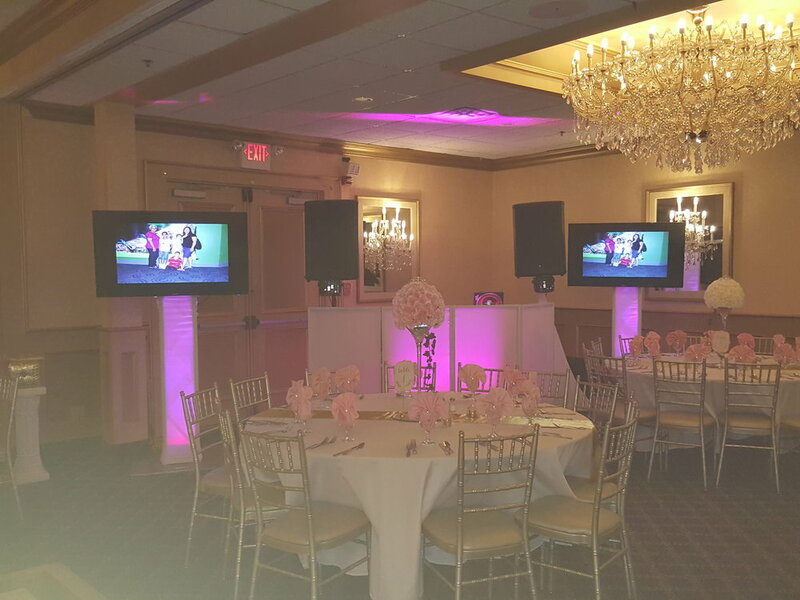 One or two 50 inch TV screens on free standing units. 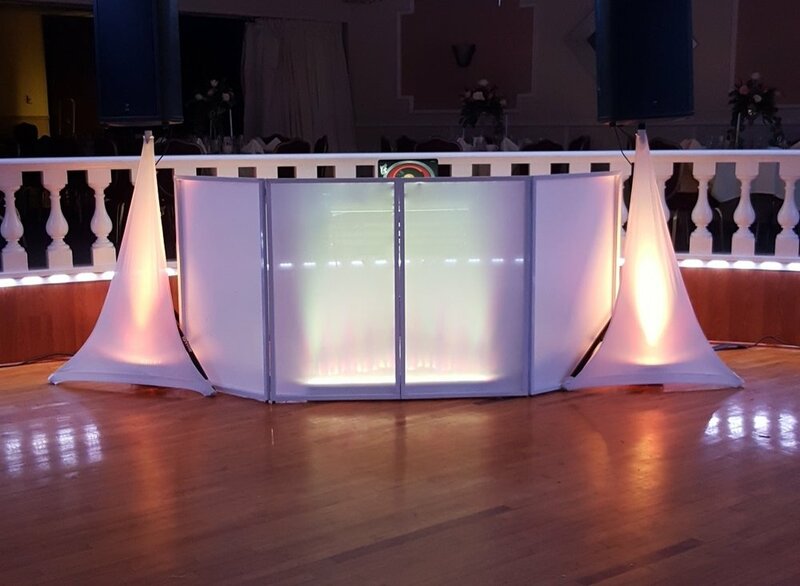 To display images taken by photographer will be used to display all who attends the ceremony & reception. 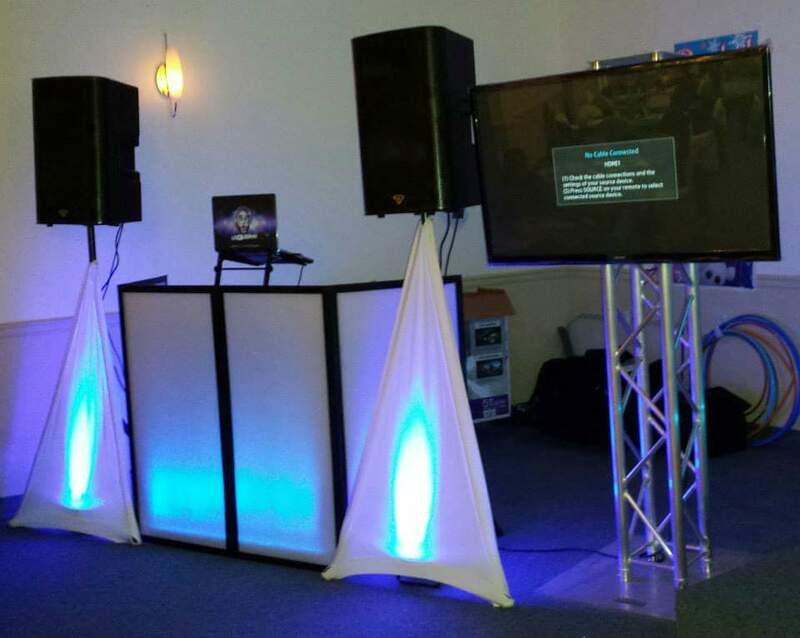 Custom title/monogram, photo montage/slideshow and ambient visuals will also be viewed. Slide shows will be projected on projection screen. This includes scanning and digital enhancements of all photos, no limit to the number of photos shown, and full editing. Service includes a copy of the final presentation on DVD/USB.